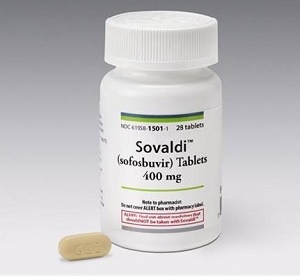 In the coming days, the Argentine Ministry of Health will begin delivery of the first sofosbuvir-based courses of treatment for viral hepatitis. This will enable prompt treatment of people affected by hepatitis or co-infected with HIV and hepatitis C. In this interview, a renowned Argentine activist explains the process and its results. On the occasion of the approval to deliver the first courses of treatment for hepatitis C in Argentina, we interviewed María Eugenia Gilligan, a member of the Argentine Network of Women Living with HIV-AIDS and of the Argentine Ministry of Health Hepatitis Advisory Committee. 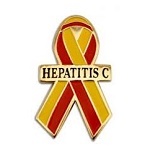 Corresponsales Clave: How does the Hepatitis Advisory Committee work and why is the participation of civil society and people living with hepatitis important? María Eugenia Gilligan: The Advisory Committee of the National Viral Hepatitis Program works with representatives from scientific societies, members of the Program, and two civil society organizations: Hepatitis Sin Fronteras (Hepatitis Without Borders), representing mono-infected people, and the network Red Argentina de Mujeres Viviendo con VIH-SIDA (Argentine Network of Women Living with HIV-AIDS), representing co-infected people. We have been meeting at the Health Ministry to discuss issues related to prevention, vaccination and treatment since 2013. Civil society participation is very important because we are the ones who constantly get the claims from our brothers and sisters, both in the grassroots organizations where we carry out our activities and in public hospitals. Especially at this stage, where there is an interferon-free treatment, we are the voices of many people in a critical situation. CC: What are the main barriers that the country and the ministry have faced in approving the treatment and buying it? MEG: The main barrier was the approval by the National Administration of Drugs, Foods and Medical Devices (ANMAT) of sofosbuvir, a GILEAD drug marketed in Argentina by GADOR, an Argentine pharmaceutical company. For about a year the sofosbuvir protocols were submitted to ANMAT but there was always something missing, hence the delay in getting approval. To this we should add ANMAT’s bureaucratic times in reviewing submissions. CC: How was approval attained? MEG: Approval was attained thanks to great pressure from the Viral Hepatitis Advisory Committee, which drew up a list of those persons who urgently need the medication due to their serious health condition, people with cirrhosis and with serious hepatic complications. This list was drawn up by civil society -we contacted our brothers and sisters by phone and mail encouraging them to contact their doctors and complete the necessary steps required by the National Viral Hepatitis Program so that they could access emergency treatment. It should also be mentioned that the National AIDS Department, under Carlos Falistocco, and other Ministry of Health officials also played a key role in this first emergency purchase that will be made in the coming days. CC: Are there any plans or strategies to lower prices? MEG: We’re working on strategies to lower prices and we’ll look at that in the next meetings. It is very important to buy more courses of treatment for those who need them so as not to reach the stage where their lives are at risk. CC. In your own words, what does it mean to be able to treat and cure hepatitis for a person with HIV? What would the consequences be if it wasn’t treated? 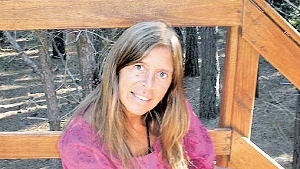 MEG: In 2007, after two years of advocacy work, Red Argentina de Mujeres Viviendo con VIH-SIDA managed to persuade the Federal Ombudsman, Dr Eduardo Mondino, to recommend including the full treatment for co-infected people (at the time interferon and ribavirin) in the National AIDS Program Pharmacopeia. This was a great achievement and some people managed to get cured. Other people’s liver health improved, although they did not get cured, and others were not able to withstand the side effects of this treatment, which is very aggressive and becomes even harder with the HIV medication we take every day. The interferon-free treatment fills us with hope because it doesn’t have any side effects, treatment duration is shorter, and around 95% of people get cured. The consequence of not taking it would be death, as has already unfortunately happened to several people, who underwent treatment with interferon, were not cured and eventually died from virus progression. Hepatitis C in people living with HIV is one of the main causes of death, so it is necessary to continue working on improving access to treatment. Do you know of any other countries in the region that are providing this treatment? The only other country is Brazil. Today there are new strategies for treating and curing Hepatitis C, a virus that puts hundreds of people on lists for liver transplants and kills thousands of people in the region every year. As María Eugenia explains, drugs such as sofosbuvir are more effective and have fewer unwanted side effects. 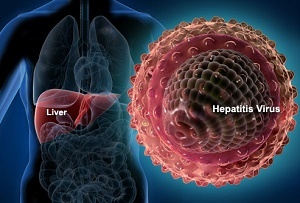 The main cause of death of co-infected people is complications associated to progression of hepatitis. What has happened in Argentina is not only excellent news in itself, for so many lives will be saved, but it is also a process that can be inspiring for other communities of people infected or co-infected with HCV in the region and in the world. One of the key aspects is the existence of multi-stakeholder committees that provide advice to the Executive Branch on these matters and a health authority with the political willpower to put the necessary programs and actions into practice. These committees not only help to know what to do but also how to do it. Treating hepatitis means, today, a great deal of stress on national health budgets, but saving lives with short-term treatments is highly effective in the medium and long term. While governments and civil society argue over prices, it is vital that channels of compassionate treatment be opened up to treat those who cannot wait. We congratulate the Argentine movement of people living with HIV, the movement of people living with hepatitis, and the government for this important achievement related to the right to health and life.